On August 19, 2011, in what is considered a landmark case in local cyberspace history, the WIPO Arbitration and Mediation Center handed down a decision involving the disputed domain name www.sulit.ph, registered with DotPH Register. Netrepreneur Connections Enterprises Inc. v. Anton Sheker, Seo.Com.Ph, Case No. DPH 2011-0003. In June 2011, Netrepreneur Connections filed a complaint with the WIPO Arbitration and Mediation Center against Anton Sheker, Seo.Com.Ph for having registered a domain name that was identical or confusingly similar to a trademark in which the complainant alleged it had rights. Sheker operates the website www.classifiedads.ph, another online ads listing. He registered the domain name www.sulit.ph, and while he does not use the website, he redirects visitors to its classifiedads.ph page. 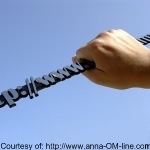 That the disputed domain name has been registered and is being used in bad faith. After consideration of all the evidence submitted by the parties, the WIPO Panel held that the complainant was able to prove the first element, namely that the word sulit in the disputed domain name was confusingly similar to the trademark SULIT.COM.PH, considering that SULIT was the dominant portion of the mark. However, the Panel found that the complainant failed to prove the second and third elements. It observed that there was an overall lack of evidence on the part of the complainant. Moreover, SULIT was found to be too weak as a trademark, taking into account its meaning and/or generic nature, coupled with the fact that the complainant was not able to establish any trademark rights in SULIT either in combination with other elements or as a stand-alone term. The Panel further held that the respondent’s use of sulit.ph as a redirecting site did not, by itself, constitute lack of legitimate interest, especially considering that its use was consistent with the descriptive nature of the term sulit. The proceedings of this case and the outcome generated a lot of public interest in the Philippines.